A classic Hungarian paprika-flavoured goulash has become a popular menu staple with aged care residents. Adding some mushrooms to the dish makes it more interesting and flavourful. Heat the oil in a large pot and lightly cook the onions. Add the beef and cook until browned. Add the mushrooms, KNORR Paprika Puree and water. Simmer for 1.5 hours or until the meat becomes tender. 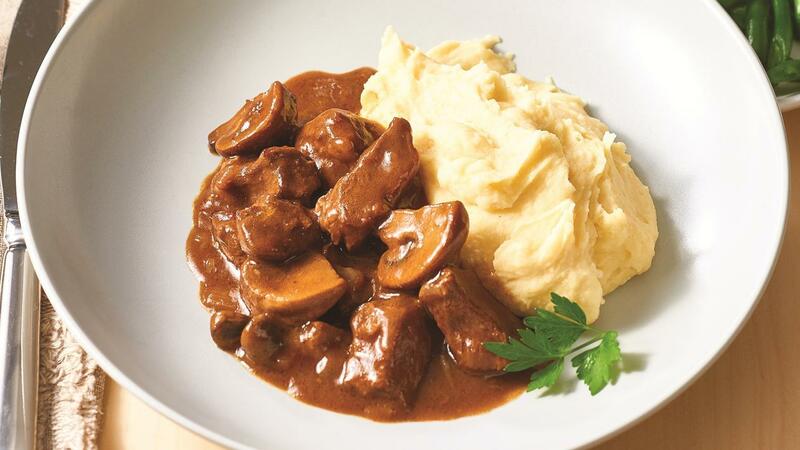 Make a slurry with CONTINENTAL Professional Rich Brown Gravy and water. Stir well into the braised beef so it thickens. Serve with steamed broccoli and mash.